How Can You Protect Against a Relay Attack? How can you protect your vehicle against a relay attack? Well let’s first look at what a relay attack is and how criminals are able to perform it. Criminals start by using long distance antennas to intercept your key’s signal, this allows them to boost the signal and fool the car into thinking you are standing next to it. Once unlocked the boosted signal enables the vehicle to be opened, started and be driven away in under 30 seconds. The equipment used for this type of attack all fits easily into a rucksack and can cost as little as £80, making this type of crime very profitable and easy to perform. Reportedly up to 95% of motorists are at risk, if your car has a keyless entry/start system or has a ‘infotainment’ system then it is at risk to being stolen by relay attack. Attacks are on the rise all around the world, so much so that some insurers are refusing to insure Range Rovers unless they have secure parking. Having none of the keys stolen and no force of entry, there is a possibility your insurance cover may be void when claiming against relay attack crimes. Insurers may want to see that you have taken suitable actions to defend against relay car crime, so could potentially refuse to pay out. So how can you protect against such a prevalent and easy to perform crime? Well here at 3D Group we saw the issues with this type of crime and decided to bring in a product we knew could help our customers secure their vehicles. That is where the Keyless Protector comes in. 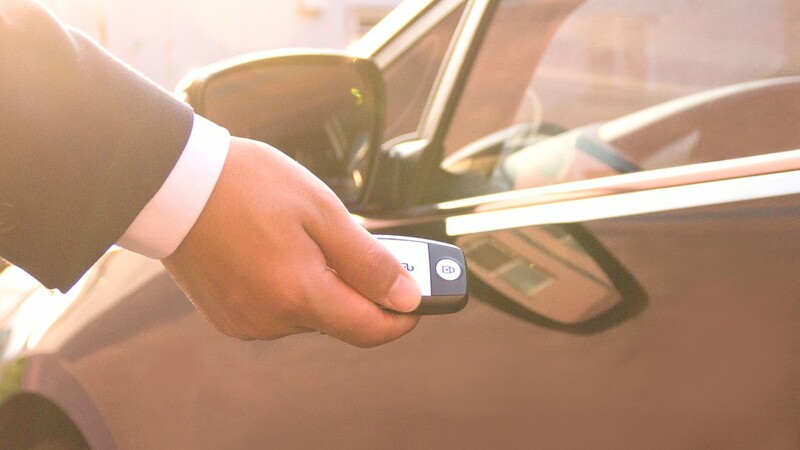 A brand new and revolutionary product that allows customers to secure their vehicles without losing the convenience of keyless technology or affecting your warranty. The Keyless Protector is a ultra-thin circuit board that wraps around the vehicle remote key battery. This advanced circuit board is designed to block the signal emitted by your key fob when its not in use, blocking the signal stops criminals from being able to intercept it and using it to steal your vehicle. The Keyless Protector is automated so it blocks the signal until you activate the key. This is done with a super simple double tap while it is in your pocket or bag. This solution gives you all the convenience of keyless technology without the draw backs of using a faraday box or wallet. When you walk away from your vehicle the Keyless Protector detects this and automatically disables the signal from your keyless fob, meaning you always have peace of mind. Another great feature of the Keyless Protector is how easy it is to fit, with it simply wrapping around your remotes battery, you can fit it yourself or come to our Nottingham based head office where we can install it for you. The Keyless Protector will not affect your warranty and is also going through Thatcham testing so in the future could possibly help bring down your insurance premiums. Overall the Keyless Protector is the simple to use and easy to fit solution to protecting your vehicle from Relay Attacks.